Maddie, a clay, paper, rock and wire sculpture by the talented Michelle Turner, sits in my window and reminds me that spring is on the way. You are not alone, and I have proof. Sometimes, the proof pops into our heads in the form of a Bible verse that reminds us of God’s love at just the right moment. Sometimes, the proof arrives in an encouraging text message or phone call from a friend. Sometimes, the beautiful sunrise or sunset spreading across the heavens declares the glory of God. And sometimes, a random stranger from Twitterland reaches out with a beautiful gift that encourages and inspires…that’s what happened to me last week. I’d like to share a little of her story, and encourage you to check out her whimsical artwork. And, if you happen to know someone who needs encouragement, maybe you can find just the right way to help a fellow traveler on his on her journey. Your biography on twitter caught my attention—“A store committed to helping the fight against cancer.” How did you come to create a store with such an awesome commitment? My father died of cancer in 1987 at the age of 44. I will be 44 this year and can now truly feel how young that is. I’m not alone in my story. Too many people have had the same experience, but over the years so much progress has been made. It is no longer the automatic death sentence it was once considered. I want to do all I can to help this progress continue. Opening an online store that benefits cancer research is my way of helping. What is your primary artistic expression? I love working with stone and clay. I enjoy making things that will bring a smile to someone’s face. My Hope Rocks!! collection is made up of clay and stone figurines meant to be near by a person or people. They are cheery and allowed in hospitals. I enjoy coming up with unique and simple things. I love the naturalness and beauty of tumbled stone. It’s simple, but interesting. 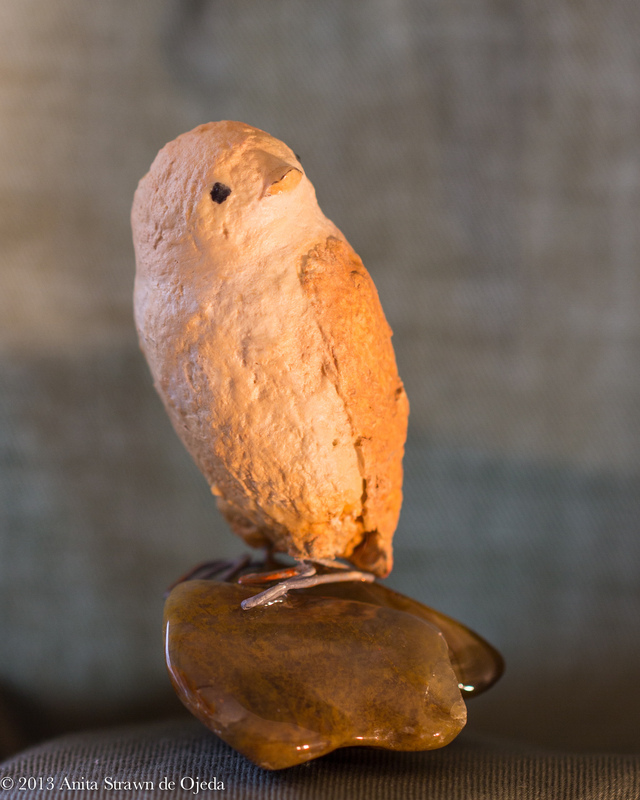 There are so many things that can be added to it in order to create something with a personality, such as the birds or clay figures. The stones alone are also beautiful which is why I also make them into pendants. Do other people contribute to your store? Not at the moment, but I have had several artists offer to donate their work in order to contribute to my cause. So in the future 286Taylor will include these items. It’s very touching how generous people can be. 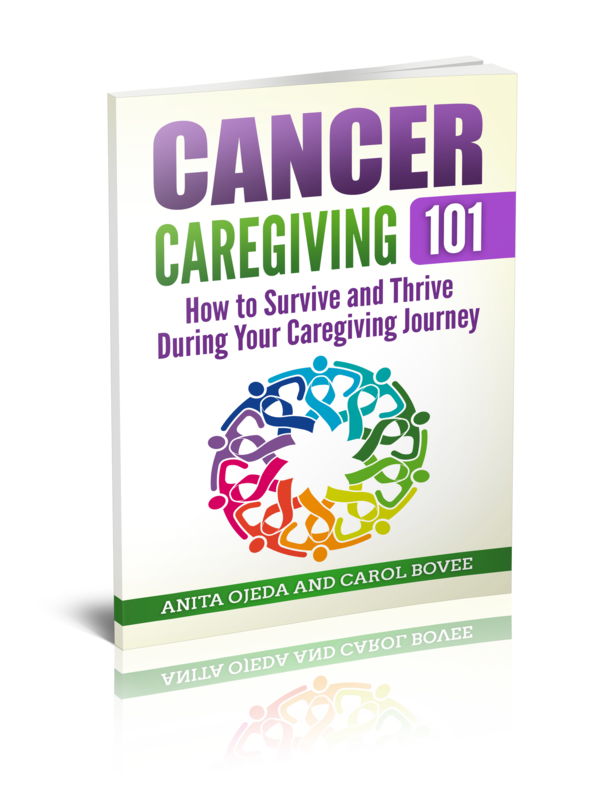 What advice do you have for caregivers or recovering caregivers? Focus on the fact that the person is still alive. It is so easy to get caught up in the grief of the thing that has changed instead of the fact that they are still here. For those currently taking care of someone, please accept help. Let someone get your groceries, pick-up your kids from school etc. People want to help and it’s okay. Sometimes the help offers can become too much. Too many calls or people stopping by unannounced. Don’t be afraid to tell people that you appreciate their concern and will definitely let them know if you need something, but for the moment you need some time to adjust. For the recovering caregivers, I’d say to allow yourself to grieve. Feel what you need to feel. You need time to recover physically and mentally. Sometimes relationships are complicated. For these I cannot stress enough to forgive them and forgive yourself so you can move on in a healthy way. Why did you choose the Fred Hutchinson Cancer Research Center as the recipient of your donations? I chose Fred Hutchinson Cancer Research Center in Seattle because my grandmother (my dad’s mother) became very involved with them after my dad (her son) died. They were very good to her and she always spoke highly of them. I’m very traditional and felt the need to continue this family tradition. If you’d like to see more of Michelle’s work, you can find her online store here, or follow her latest creations on Twitter.